As of July 14, 2015, JDK 7 and JRE 7 are no longer available for public download. 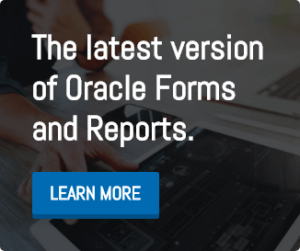 Although the latest version of Oracle Forms, version 11.1.2.2.0 (11gR2) is supported to use JRE 8, it is currently NOT supported to use JDK 8 for Oracle Forms and Reports 11gR2 as well as for other Fusion Middleware products such as ADF (11g and 12c) and OHS (11g and 12c). However, as public downloads for Java 7 are no longer available, there are only two options to download JDK 7. Fill out this form to get immediate access to the article.